The work of the New South Wales Sexually Transmissible Infections Programs Unit (NSW STIPU) is guided by the NSW Sexually Transmissible Infections and HIV Strategies. These strategies aim to reduce HIV and STIs and associated morbidity and mortality in NSW by working with priority populations, the public and private health systems to build capacity for prevention, treatment and management of HIV and STIs. 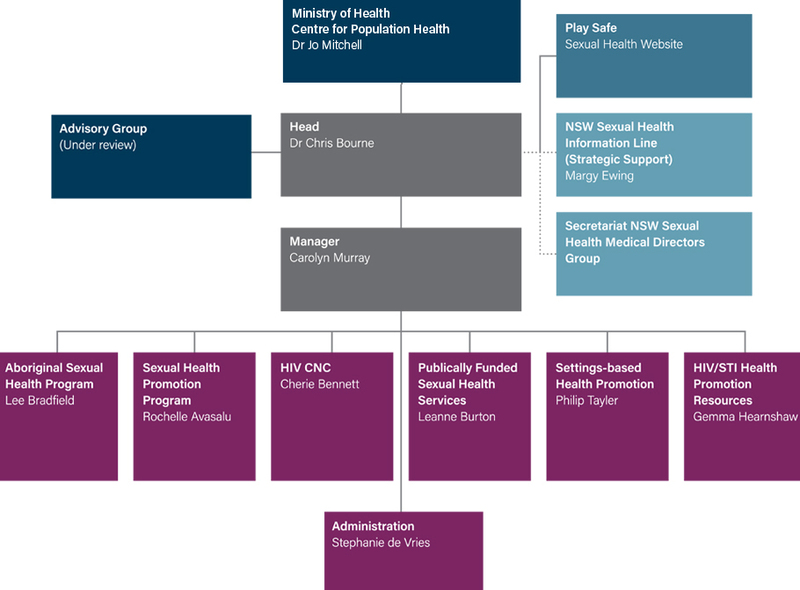 NSW STIPU was established by the NSW Ministry of Health to assist coordination and where appropriate, to directly implement some state-wide services. Many aspects of the strategies require partnerships of agencies across the health and community sector and across health service boundaries. to strengthen the capacity of non-traditional settings to assist management of STIs and HIV. We respect and acknowledge Aboriginal people as the traditional custodians of the lands and waters on which we work and live. We would like to thank all the staff members from NSW Health, government and non-government organisations who support us through ongoing collaboration and consultation. The Unit receives recurrent funding from the NSW Ministry of Health. It is co-located with Sydney Sexual Health Clinic, within Sydney Hospital and is administered through South East Sydney Local Health District (SESLHD). A range of advisory groups provides expert advice and guides direction.